Contributor The Japan Ground Self-Defense Force (JGSDF) is at the National Training Center for a joint, bilateral training with the U.S. Army. Left to right: Maj. Gen. Hiroaki Sueyoshi, Chief of Staff Carl Michaud, Gen. Koji Yamazaki, Commanding Brig. Gen. Jeffery Broadwater, Maj. Gen. Kenichi Saito, Command Sgt. Maj. Lowe. FORT IRWIN, Calif. — The Japan Ground Self-Defense Force’s 72nd Tank Regiment participated in a joint, bilateral, multi-domain training rotation with the 1st Brigade, 25th Infantry Division’s Stryker Brigade Combat Team (SBCT) at the National Training Center in February. The JGSDF 72nd TKR is out of the Northern Army in Sapporo, Japan and the 1/25 SBCT is based in Fort Wainwright, Alaska. This operation was the largest and most complex training the Ground Self-Defense Force has ever done overseas and will be documented through a two-year, 13-part series the History Channel-Japan has been producing, titled “Defending Japan.” The work has high reviews overseas and is due to air in the United States. The NTC provides a venue for the JGSDF to conduct training that is not possible at their domestic training areas. The focus of the two-week training was to increase combat readiness and interoperability between forces and enhance bilateral coordination and force protection in dealing with various security challenges. 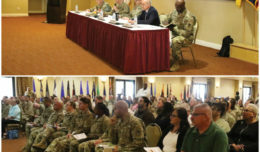 Both sides will jointly train, plan and execute a series of well-developed tactical drills for neutralization of likely threats that may be encountered in urban warfare scenario. 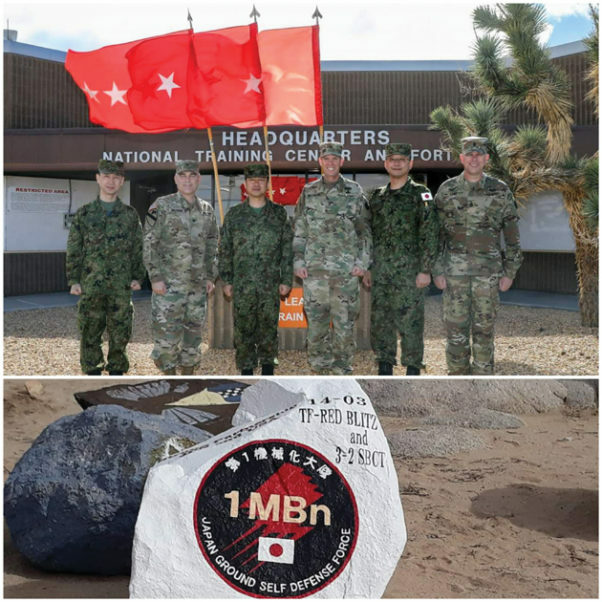 The Japanese GSDF TKR is part of multi-national exercise that will also include units from the United Kingdom, Canada and the United Arab Emirates in March 2019. The United States and Japan have forged a relationship built on a shared vision of peace, prosperity and democracy and the alliance is the cornerstone of regional security. The long-standing bilateral relationship plays a critical role, ensuring regional peace and stability. This training underscores a continued commitment by both the United States and Japan to work as dedicated partners in support of the U.S.-Japan security alliance and for continued support for the Indo-Asia-Pacific region. • Japan’s Constitution specifically prohibits the establishment of army/naval/air forces but Japan has maintained the JGSDF since 1954. • Japan’s Constitution and laws place strict limits on the use of force by the JSDF. • The JSDF focuses on a homeland defense mission and does not deploy overseas. 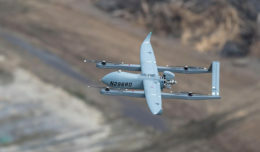 More about the joint, multi-domain, bilateral operation between Japan and the U.S.
• For more than six decades, the U.S.-Japan Alliance has been the foundation of peace and security in Northeast Asia and the cornerstone of U.S. engagement in the region. • Japan is a strong partner for the United States on virtually every major security issue. • The United States values Japan’s contributions to the peace, security, and stability of the Indo-Pacific and its long-term commitment and hospitality in hosting U.S. forces forward deployed there. 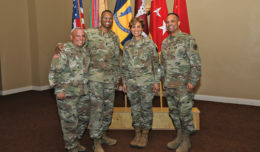 • The Army must be able to operate seamlessly with sister services and allies across all domains.